The Tree design and LITTLE TREES are trademarks of Julius Sämann, Ltd. 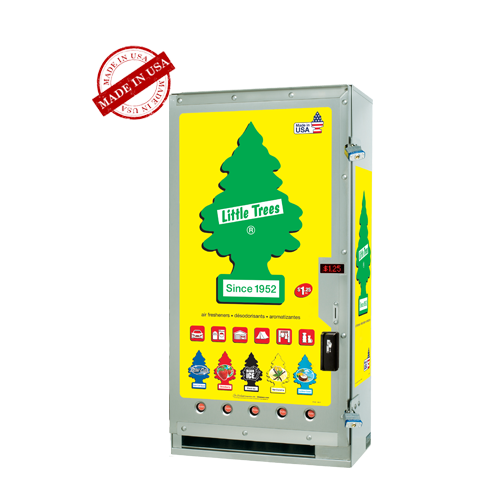 The Model 599MAX LITTLE TREES® Five Column Electronic Drop-shelf Vender vends the LITTLE TREES® air fresheners . This vender operates on 24 volt AC power and is price adjustable from 25¢ to $9.75. Comes equipped with a heavy duty stainless steel security frame that will allow your choice of many padlock styles. 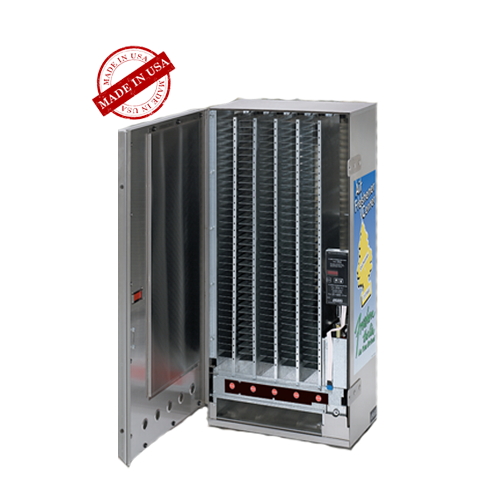 ◦ LED display shows vend price setting, amount inserted, vend sales counter, etc. 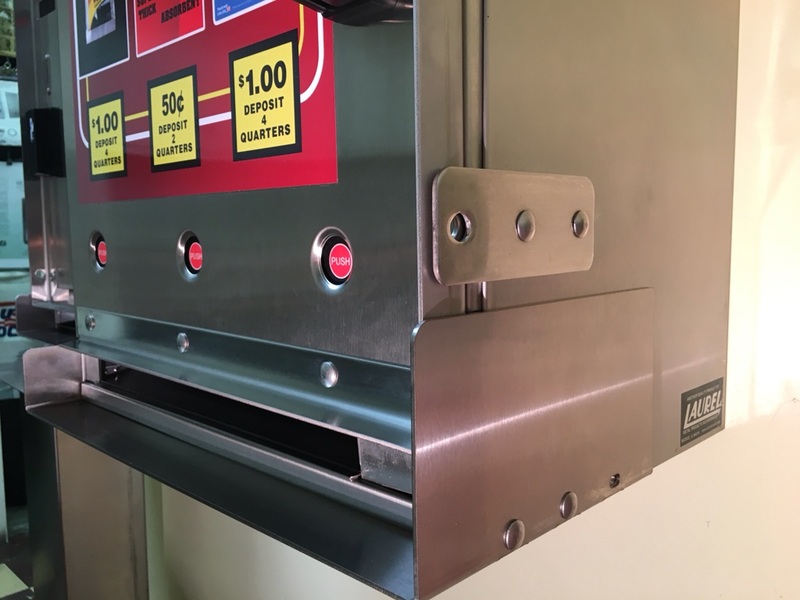 Vault-Ready cabinets available that have a 2.062” round hole punched through the bottom of the cabinet to route the coins from the coin mechanism down into a vault, or safe. A funnel is inserted in place of the standard coin box. Vault piping is not included.